Ask anyone who has had the privilege of using ceramic coils for their vaping experience and they will tell you they are impressed with the flavor. They are also long lasting. I have no choice but to agree with those who rave on about these coils. For this reason, I have decided to do a Kanger Ceramic Coil Review. I think that this is one of the best coils out there, even though it still has its own issues. So what can you expect from today's article? I am specifically rating the Kanger coil. I will take some time to explain my rating. I don't believe in just saying that something is a five out of five without explaining myself. Otherwise, I become just another subjective vaper with an opinion. Read on to find out about what this brand offers. CLICK HERE FOR THE LOWEST PRICE! I think that it is fair that I start by explaining why the coil got a rating of 3.5 out of five from me. I think the coil still has some real issues with the taste being dull. The spitting problem is just stuck with this coil. I give the 3.5 because I think that the manufacturers of this product have done a lot to deal with the earlier problems. This shows that they are willing to listen to the concerns of the buyers. 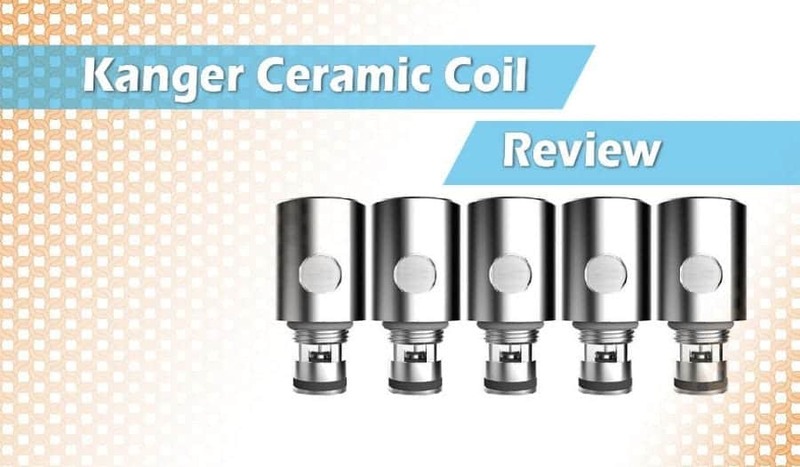 The rating is based on my interaction with the Kanger coil heads. Since we use these products under different conditions, you may find that others have a different opinion. There are certainly a lot of things that Kangertech has been doing to ensure that the issues that user. For this reason you will see fewer problems with the overheating and spitting, leaking and uneven heating. 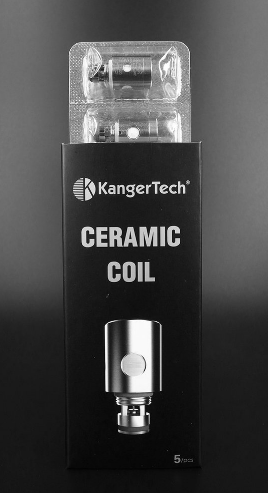 The main draw points for the new coils by Kangertech made from ceramic is that you can expect a better flavour from a long lasting coil. 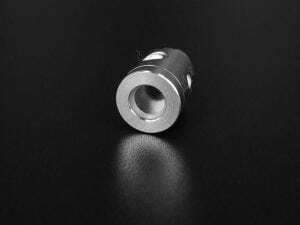 The coils will be compatible with various tanks including the Subtank Nano, Mini, Plus, the Top Tank Nano, and Mini, and the Nebox and Subvod. In your package with the brand new authentic Kanger package, you will get five coils, an authenticity card, and a box with an authenticity sticker. With this, you have a peace of mind that you are buying the real deal. I looked at some of the features that make these coils a product you would want to give serious attention to. The following are some of the leading ones. Of course, as I have said before, some of them are quite subjective. What might be a great taste to one, may not be to the other. Something Done About Overheating And Spitting Problem. If there were any issues to do with overheating and spitting, something has been done about them or should I say, there is proof of improvement. Those who still complain that the tanks get too hot are missing two things. The real problem lies in utilizing an old tank with the new ceramic technology. To get the right results, both the tank and the drip tip should be wide open. If this is not in order, the spitting problem will not go away. No Issues With Leaking. There are no issues with leaking on this coil. Even with this being said, you are looking at a lifetime of about 7 days on liquids. I do see that there are people who have issues with leaking on this coil but I will be the first to admit that in my experience, I have not had a problem with these issues. I am sure that like any other product, this product will have a few issues here and there. Heats Up Evenly. The one thing I have come to appreciate about ceramics coils just like the Kangertech coils is that they tend to heat up more evenly when compared to Kanthal wire. This is the reason behind the production of a lot of vapor and the great flavor they have come to be known for. Add to this the fact that they have a longer lifespan, and reduced risk of dry burning and you know something is being done right. Just be careful, these coils tend to take a lot longer to attain the prime running temperature. Longer Lasting. With these coils on your side you will not be making your way to the shops too often. They last a lot longer when you compare them to other coils in their class. For instance, we are talking about periods of up to seven days on liquids. Once this period has passed, you are likely to start seeing issues such as leaking. I suspect that some people who are complaining about these coils may be using them well past this period. Flavor Not So Sharp. No matter what I do with the Kanger coil heads the flavor I get is not as sharp as I would like it to be. I admit that this is a subjective statement because I have met people who think that the flavor is phenomenal. No matter the wattage, I notice there always remains a bit of spit up in the mouth. I am told that this has to do with using new ceramic technology on old tanks. Coil Takes Long To Heat Up. The coil also takes a lot longer to heat up fro start. But this generally seems to be an issue with all ceramic coils I have had a chance to deal with. You will also notice that this coil requires a wattage which is rather high. You know what this means for your battery? It simply means that you have to charge it a lot more often. Battery Drains Fast. Ask anybody to do a Kanger Ceramic Coil Review and they will be quick to tell you how fast your battery runs out when you are using this coil. I took some time to investigate what the reason for this could easily be. The reason I came up with is that at a lower wattage, the coils have lower efficiency. They are great above 40 watts. This leads to the draining of the battery. This is one thing that the manufacturer will need to look at going forward. Costs More. I know many people believe that you get what you pay for. To a large extent, I believe that this is the case with the Kangertech coils. I am very happy to pay more for these coils as they last longer. While a higher price may be viewed as a disadvantage, it might actually be the difference between a good coil and a bad one. No Warranty Cover. I have noticed that this product is not covered by warranty. This means that wherever you buy it, you will not be able to return it. I always say that if a manufacturer is not willing to give a warranty on a product they make, it means that they have no faith in it. However, I know that products such as these ones, do not usually carry a warranty. I know that this review has been quite a mouthful. My view is that while there are still a lot of cons when it comes to this coil, the manufacturers have been hard at work listening to the concerns of customers with a view of doing something about them. I think that this has helped to deliver a better flavor and experience for those using it. Even though the coils are on the expensive side, I certainly believe that you are getting what you have paid for. If this will become a ceramic coil of your choice, then you should know your batteries will deplete a lot faster.